Federal regulations and those of the Minnesota Department of Health require CNA classes in Minnesota to include at least 75 hours of training in order to maintain full accreditation. While this coursework can generally be completed by full-time students in 5 to 8 weeks, the state has an additional requirement that certified nurses aides in training must also complete 100 hours of clinical practice before challenging the state’s certification exam. Admission to accredited courses typically requires a high school degree (or GED equivalent) and that the student be at least 18 years of age. Once a student has completed his or her training, he or she must take and successfully pass the National Nurse Aide Assessment Program (NNAAP) within 24 months in order to become certified. Failure to do so in the allotted time will force the individual to repeat all previous training. 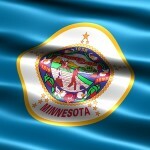 Being listed in the Minnesota Nursing Assistant Registry is a prerequisite for employment in the state. Due to high demand for nurses aides in the Twin Cities area, the greatest concentration of CNA classes in Minnesota are offered in Minneapolis.